The planet of transformation ends its 13-year stay in religious Sagittarius, a period when fundamentalist beliefs have radically changed the world. 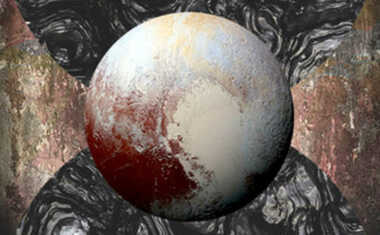 The next phase, Pluto's entry into organizational Capricorn, will alter the nature of corporations, nations and international groups of all kinds. The planet Pluto and sign Capricorn share a strong sense of intention and focus that are likely to increase efficiency in many domains. However, their mutual hunger for results can repress compassion and contrary views that might slow down the inexorable march forward. The power of corporations will probably reach a tipping point during Pluto's 15-year stay in Capricorn. It is possible that multi-nationals will grow so strong that they will supplant governments as primary sources of authority. While some believe that this has already occurred, we can expect a further erosion of state control or a strong reaction against corporations that eventually reduces their dominance. 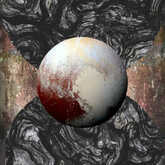 This reflects the Pluto paradox as this planet both intensifies and purifies, concentrating force and yet, eventually, breaking down structures to eliminate excess. Pluto and Capricorn are more about collective structures than personal ones, yet we will still experience this transit as individuals. Stripping away unwieldy and outmoded ambition can challenge us to reconsider our goals, even our most treasured ones. Pluto raises the stakes in whatever game you're playing, challenging you to increase your commitment or to leave the table. Again, there is a risk of becoming so focused on achieving results that flexibility is lost. It's hard to keep an open mind in a tunnel, so burrowing through the boundaries of certainty is a healthy counterpoint for balancing Pluto in Capricorn's excessive determination.